This Refugee Week (June 18-24), refugee advocate Dr Tim McKenna has kindly shared an account of his recent visit to Manus Island where he met with traumatised men who fear for their future and safety when the Processing Centre on the island is closed in October. 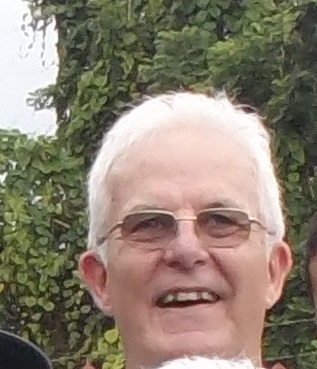 Tim, who holds a doctorate of philosophy in physics from the University of New South Wales, is involved with the St Vincent de Paul Society Canberra-Goulburn. He is a member of the Vincentian Refugee Network and is part of CAPSA’s National Advocacy Network. Tim is also involved in ‘Manus Lives Matter’, a grassroots project that links individuals and parishes with the men on Manus Island by sending them care packages and phone credits. In April 2017, Tim visited Manus Island in conjunction with fellow refugee advocate Sister Jane Keogh. Tim’s insights into the conditions and concerns of the men stranded on Manus are both interesting and disturbing, highlighting the dangers detainees face and the cruelty of this aspect of Australia’s immigration policy. The St Vincent de Paul Society is a sponsor of Refugee Week. The theme this year is 'With courage let us all combine'. Read more about Refugee Week 2017 below. On April 20, 2017, four days after Easter Sunday, I arrived on Manus Island with Sister Jane Keogh, with whom I work on the Manus Lives Matter (MLM) project. Sister Keogh and I then spent the next four days meeting the men from the Processing Centre. The objective of our visit was to offer face-to-face support to the men we had been helping, to assess the MLM project and determine what future support the men will need. Sister Keogh and I stayed at a motel on the outskirts of Lorengau, the capital of Manus Island, a town of 7,000 people. Four of the men who had been organising MLM from their end also stayed with us. Each day groups of men visited from the Processing Centre, taking a 30 minute bus ride to town and then walking out to the motel. The first thing we found was men still deeply traumatised after being shot at during the incident that happened the previous week on Good Friday. Over the four days I met 40 men and had talks of 15 minutes or more with 20 of them, mainly the Tamils my parish group supports. While we were satisfied most of their material needs were met by the parcels we had sent, the most important thing now was for them to keep in contact with their family, friends and with the outside world. We were able to replace several broken smart phones and will continue providing phone credits to the men. Photo caption: Refugee advocate Tim McKenna travelled to Manus Island to meet the men he has been assisting as part of the Manus Lives Matter project. Tim is a member of the St Vincent de Paul Society. 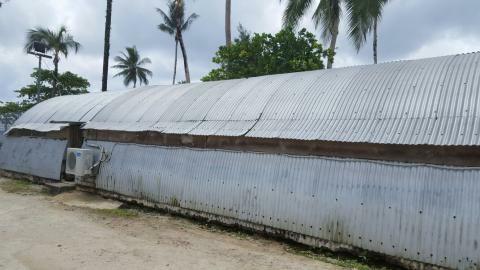 Photo caption: An example of the accommodation at the Manus Processing Centre. By far the most disturbing thing for me was the state of the men’s mental health. They have experienced trauma in the countries they’ve fled including torture, imprisonment, the murder of friends, death threats from the likes of the Taliban, or some combination of these. And in the four years they’ve been indefinitely detained the trauma has continued. They have witnessed dangerous incidents like the recent Good Friday shootings, their friends dying as a result of poor medical care, and the 2014 riots that culminated in the death of Reza Barati. Many of the men suffer ongoing health conditions (both mental and physical) that are not adequately treated. And they have endured oppressing boredom and hopelessness for every one of the 1,400 days they have been on the Island. Amid the ongoing uncertainty and hostile conditions, the resettlement deal struck between the Australian Government and the United States has offered the men a glimmer of hope. Yet the details of this deal remain uncertain. There are 600 men on Manus who have been found to be refugees and 300 have had initial interviews and fingerprint checks by the US. Despite the deal being agreed six months ago, no one from Manus has yet been accepted and no one is sure if, and when, they will be resettled. The net result of the US deal is that even if some of the men are eventually resettled, many are unlikely to be accepted by the US and will need alternative safe resettlement options. The Australian Government is yet to offer any viable resettlement alternative, stating that the men can either return to their country of origin or resettle in PNG, which does not have the capacity to settle them. The Government has announced it will close the Manus Processing Centre by October 30, 2017. However, the US resettlement delays mean that most if not all the men will have to be re-located in PNG at least temporarily. And the men’s view of such temporary re-settlement is that it looks worse than staying in the Centre. Neither they nor I can see how they will be anything but worse off than they are in the Centre given the great uncertainty about how their security, their medical care and the other means to survive can be effectively provided in the PNG community. Despite all this uncertainty and concern for the future, during our trip to Manus we did encounter compassion and goodwill that inspired hope. We met with local Islanders (motel staff, policemen, church leaders and post office staff) who assisted us to help the men from the Processing Centre. These community members have very limited resources, but like any people with compassion they can see the injustice of it all. On the final night we invited one of them to have dinner with us at the motel. During the dinner he asked: ‘Tim, why is the Australian Government treating these people in this way?’ A very good question indeed. Photo caption: Refugee advocate Sister Jane Keogh is a Brigidine Sister from Canberra and is seen here on Manus Island. I encourage everyone to read the report of the recent Senate inquiry into abuse, self-harm and neglect of asylum seekers on Nauru and Manus. The report concludes that Nauru and Manus are unsafe living environments. It recommends the Government give serious consideration to other settlement options including New Zealand. Secondly there are two petitions worth considering from Amnesty International and CAPSA. Thirdly, consider doing something for Refugee Week being held from June 18 to June 24. 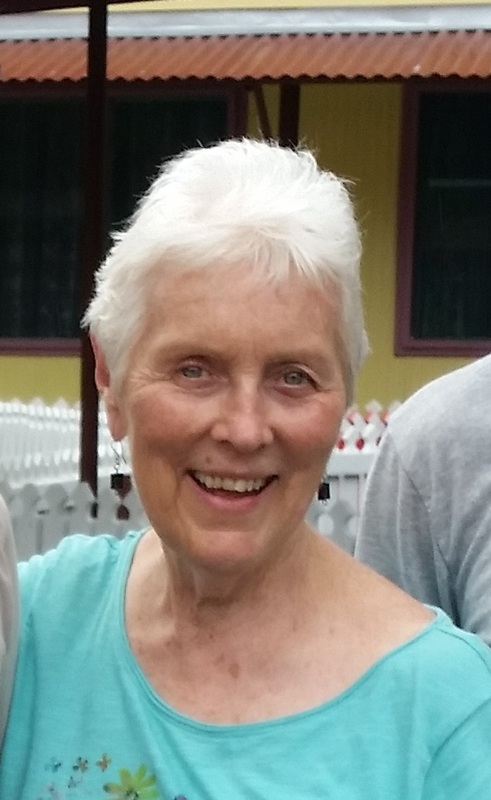 Read a statement by Sister Jane Keogh a Brigidine Sister from Canberra who has been a long-time advocate for refugees. Sister Keogh made this statement at a media conference held in conjunction with Amnesty International. At Vinnies we believe that it is as important as ever that we gather and express solidarity alongside those who have fled persecution or conflict but continue to experience injustice. Refugees from around the world have contributed greatly to Australia’s rich social, cultural and economic fabric over many decades and we look forward to this continuing for many years to come. Disturbingly, in 2017 we have seen increasingly vitriolic attacks on refugees and migrants both in Australia and abroad. Vinnies is deeply concerned about the 1 October deadline for asylum seeker applications and has urged the government to revoke the arbitrary October deadline for submitting their claims and provide better funding to support legal support and interpreting services. Learn more about this issue and other issues affecting asylum seekers in the Our Impact section of this website.